Ultimate has gained significant popularity in recent years. 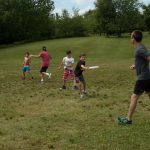 We’ve found that many of our staff play either recreationally or on their school teams and they bring their enthusiasm for the sport to camp and our campers benefit from their knowledge of the sport. 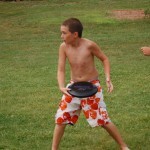 Ultimate is on the regular rotation of land sports that we offer on our slate of activity sign-ups. 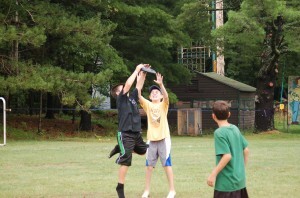 During the formal activity campers learn the rules of the game, throwing technique and overall skills. Ultimate is also played throughout the summer. It is a popular cabin challenge game and is also played on Pow-Wow and United Nations Day. 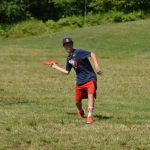 We expect that Ultimate will continue to grow at camp.